This is a review of Hybrid Connect (Now updated and called Thrive Leads, a lightbox plugin for WordPress. In it I look at what Hybrid Connect is all about, whether or not it’s worth using, what’s good about it, and what’s not so good. 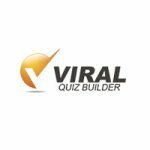 By the end you should have a good idea about whether or not this plugin is right for your website, and what you’ll be able to achieve by using it. I also use it on all my other sites where I’m actively building a mailing list, as it’s easily one of the things that gets me the most subscribers to join my newsletter. It’s worth every cent they ask for it and more! Hybrid Connect is by far the best lightbox / popup plugin on the market. Not only can it do more than all it’s ‘competitors’ (they can’t really be called that as there’s no plugin that’s close to competing in terms of features), but it’s also sold and a much cheaper price point than the average. 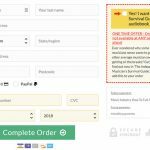 If you want to grow your list a lot faster and do it without annoying your customers, HC is definitely the plugin you need for your WordPress website. In the unlikely chance you don’t know what this WordPress plugin does yet, let me give you a quick overview. 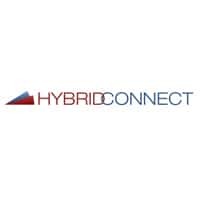 The main feature of Hybrid Connect is the ability to show a lightbox to your website’s visitors. Note: A lightbox is also commonly referred to as a popup box. In this lightbox you can add a opt in form to collect email addresses for your mailing list. But why would you need a lightbox on your site? Simple, because it helps you build up your email list a lost quicker than you would be able to otherwise! By setting a lightbox to appear on visitor’s screens say 10 seconds after they visit your site, you’re making sure the option to subscribe to your newsletter is seen. 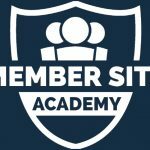 While you’ll get people seeing this offer if you also put it in your sidebar, a lot of visitors will often overlook this. If you make sure they can’t help but see it however, you’re almost guaranteed to increase your sign up rate, as long as you include a offer that’s relevant and attractive to your target audience. If you’re trying to build up your list but don’t get have a lightbox plugin installed, Hybrid Connect (now called Thrive Leads) is what you need. And that’s quite simply it. The ability to split test multiple lightbox designs at the same time. In comparison, most lightboxes don’t let you split test at all. I’ve only seen one other which allows you to split test, and that was only against one other variation of the popup. Furthermore, it was overpriced (not to mention very buggy), especially if you wanted to use it on more than one site. Hybrid Connect allows you to split test up to 5 variations of your lightbox at one time, letting you see which one gets you the most subscribers. As soon as I started doing this, I raised the amount of subscribers I get by 400%. An absolutely essential feature to have! The ability for people to subscribe to your list using their Facebook account. This is the only popup plugin I’ve seen which allows this, and is a feature I’m sure that’ll come in handy if you’re in a social niche or have a strong Facebook following. A high level of control for the way your lightbox looks. While most lightbox plugins for WordPress either gives you a few predesigned templates or allows you to design your own with limited options, Hybrid connect takes things to the next level. Not only does it give you a load a great looking predesigned templates, but it also gives you a super powerful editor which allows you control over every aspect of your lightbox’s look and feel! I’ve used this editor to create some great looking email opt in forms, and you can too. Thanks for this helpful review, Hybrid connect has ton of features, no other plugin came close. Agreed Andrew, I’ve been using it for a while now and have never felt the need to change.